There are a lot of names and acronyms that get thrown around when it comes to fiber, so I thought I would sum up what I know on the topic. I will mention that I have had no formal fiber/optical training, this is just what I’ve picked up in the field. I’m not an expert here by any means!! Edit 07/15/2015 - RAS did a great talk on optical networking. Edit 03/02/2017 - Svein gave me some tips and corrections. Thanks! First: why use fiber? Because copper cables (CAT5/6 etc) can only carry data 300ft. That’s not very far. Fiber can go for miles. 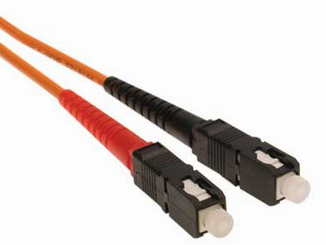 There are two types of fiber: single-mode (SM) and multi-mode (MM). Generally speaking, single-mode is goes further, but is more expensive. Single-mode goes further (especially at high speeds), while multi-mode goes shorter (REALLY short at high speeds). Of course, single-mode is much more expensive than multi-mode. Also: while you shouldn’t look directly into EITHER type of fiber (shine it onto your palm or a piece of paper), looking into single-mode fiber will probably blind you AND it won’t show any light since it’s way too small to see. Also, NEVER TOUCH THE END OF A FIBER CABLE. Your oils/dirt can damage the contact and can ruin the cable. 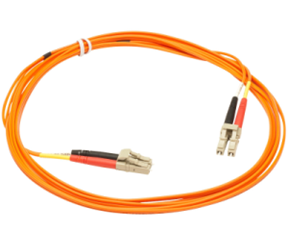 Need to test a multi-mode fiber cable? Shine a flashlight down one end (colored flashlights or LEDs are perfect) and put your hand/paper in front of the other end and see if you see the tiny spot of color. There are also IR detector cards that you can shine the light onto. Fiber is very tiny strands of glass-like filaments. You CAN break them if you bend the cable too far. DON’T snap your fiber cable, and throw it away immediately if you think you broke it. Don’t step on it, wind it too tight, etc. Be careful if you break or cut fiber, as the filaments are like very nasty splinters. Wash your hands! Physically, the difference comes down to the size of the fiber core. Single-mode fiber is typically 8.3 µm to 10 µm (micrometer or micron) in diameter, where 9 µm is the ideal. This is very small. 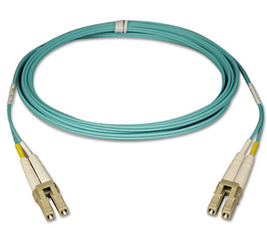 Multi-mode fiber is typically between 50 to 62.5 µm in diameter. This is not as small. The smaller (50 vs 62.5), the better. The second number (125) is the size of the cladding around the fiber, ignore this. So, because single-mode fiber is more expensive, it tends to only be used in situations where the distance travelled is too far for multi-mode. One common way it’s phrased: “multi-mode inside the building, single-mode between the buildings”. The reason that OM3 and OM4 are “laser” is because they’re compatible with laser optics (40/100 Gbps), as opposed to the LED-only optics of OM1 and OM2. The laser optics are way better, as you’ll see later. The key to understand is that these are not only physically different CABLES, but also different SIGNALS. With copper networking, you can use a CAT5 or a CAT6 or a CAT7 cable with the same NIC. With fiber networking, ALL PIECES HAVE TO MATCH. Now, we know all about the fiber cables themselves. Optics are the ports on your switch/device where you plug in the fiber cables. More powerful optics = faster/longer distances. You have to match your optics on both sides (of course). You also have to get the right optics for your fiber type. Note that the multi-mode optics don’t ever have a designated cable size that they work with. The same SX optic will work with OM1/OM2/OM3/OM4 cable just fine. The only exception is the newer laser multi-mode optics, which only work with OM3/OM4, as listed above. These ports are often described based on their SIZE. These are the really big ports. We don’t run into these anymore, and they only run 1Gbps. These are pretty common. Again, they only go to 1Gbps. Commonly (and mistakenly) referred to as “mini-GBIC”. 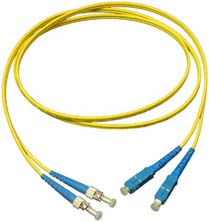 For multi-mode fiber, you use an SX optic. 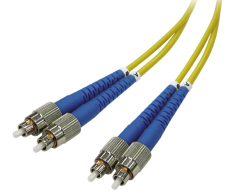 For single-mode fiber, you use an LX or EX optic for 1310nm, or ZX or EZX optic for 1550nm. I haven’t seen any other options. 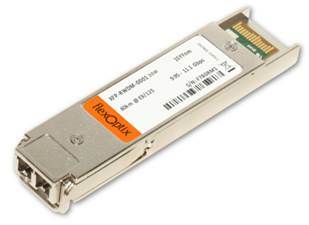 So, if you see an “SX” optic, you know immediately it’s a multi-mode optic in the SFP form factor with 1Gbps capabilities. Sort of like HD-DVD… it lost the war. SFP+ ports are smaller and consume less power, so SFP+ has taken over as the standard. These are the new 10Gbps options for SFP-sized slots. They look the same as SFP! They go to 10Gbps. For single-mode fiber at LONG range, you would use an ER optic, which is the extra-long distance (or “extended reach”). 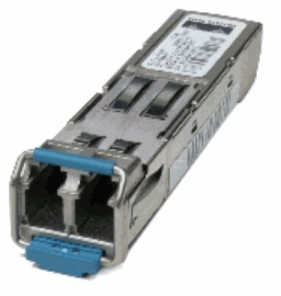 These are used for 40Gbps speeds, are are NOT the same size as SFP/SFP+. You will need special ports on your switch for QSFP+. 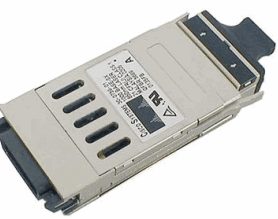 These can also often be broken out into multiple SFP+ connections, with a breakout cable. This gives you 4 different connections with only one physical switch port, at the cost of some cabling mess. The different optic types are also called SR4, LR4, and ER4, similar to the SFP+ naming. This is the “old school” style and is used on about 50% of patch panels that I run into. Almost exclusively used for patch panels, never for switch/device. You have to twist and push the cable to lock/unlock it, which always makes it a huge pain. My friend Marshall says he’s seen this but I rarely see these in the field. The real name for this connector is Lucent Connector, but that’s not what I call it. The joke is that LC = Small while SC = Large. It’s backwards… but if you can remember that, you’re golden. LC is the most typical cable that switches/devices use. So your device/switch is almost always LC. The real name for this connector is Subscriber Connector. This is the replacement for the ST-type connector. This is usually what you’ll see on your patch panels or drops. So, for cabling from a fiber patch panel to a switch, you need an SC-LC cable. From switch to switch, you want an LC-LC cable. From switch to server, you want an LC-LC cable. There are always exceptions, but these are the standards. 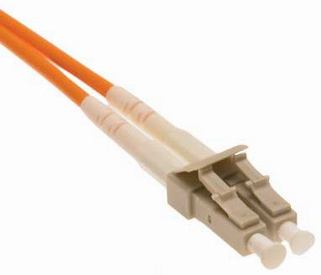 These connectors are used for BOTH multi-mode and single-mode fiber of all types/qualities. So the connectors don’t tell you ANYTHING!!! What matters is the fiber inside. 10Gbps - We wanted to do 10Gbps backbone cabling for a client. They had distances of over 300 meters for some runs. What fiber cable would we use? Because the distances were 300+ meters and the new OM4 multi-mode fiber wasn’t out yet, we had to go with single-mode fiber. We had their fiber guy run SM fiber in the building. What optics would we use? Because we needed 10Gbps speed and single-mode capabilities, we used LR optics, which came in the SFP+ form factor. What connectors would we need? Because we were going switch-to-patch panel, we used LC-SC (or LC-ST if using different patch panels) connectors. 1Gbps - You want to set up 1Gbps cabling for your IDF switches. Your max distance is 350 meters. What fiber cable would you use? Because we need to get to 350 meters, OM1 multi-mode won’t reach. We would use OM2 multi-mode, since it’s the cheapest and reaches 550 meters at 1Gbps speeds. What optics would we use? Because we are using multi-mode cabling and only need 1Gbps speed, we would use SX optics which come in the regular SFP form factor. They’re cheap and do 1Gbps over multi-mode. What connectors would we need? Because we’re going switch-to-patch panel or switch-to-switch, we’ll need either LC-SC connectors or LC-LC connectors, depending on how it’s cabled.